樂 I, along with Ahmad, have been writing code with the Sublime Text editor for more years than I can count. Last year, we made a switch and slowly moved all of our workflows and snippets/settings to Visual Studio Code. It was the best thing that happened to us. VSCode is super awesome. ✅ Not only that, but we learned how to become the power users of VSCode. We have already contributed to the project have also started contributing by building a team of translators to translate VSCode in Urdu. ‍ This year, Ahmad promised himself to finally launch a course to teach developers how to save a bunch of time every single week while using our favorite open source code editor i.e. 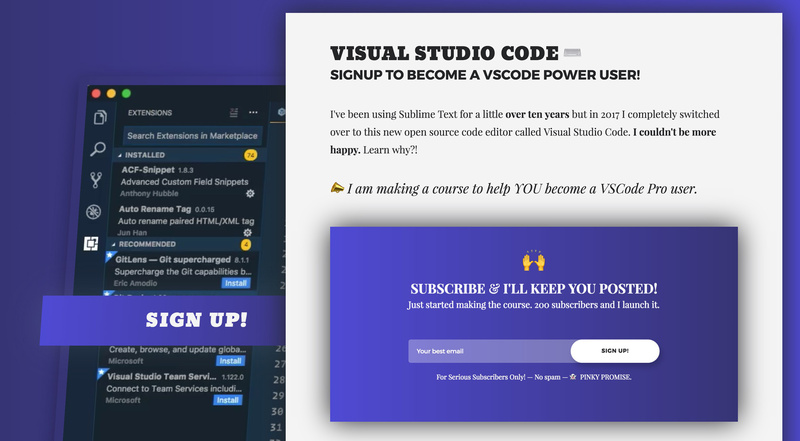 Visual Studio Code and become a VSCode Power User.